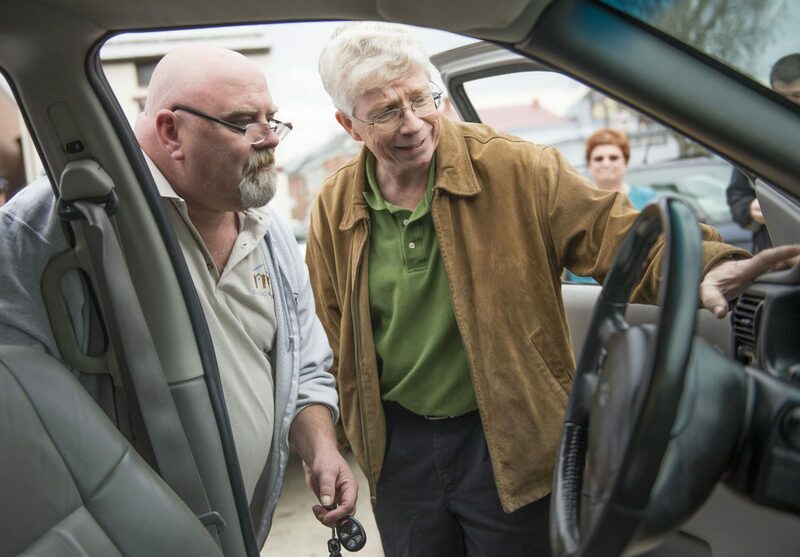 At Second Chances Garage, Mike Slinkard picked up the keys to a vehicle that would get a houseful of veterans back on their feet. Three nonprofit organizations, all started by Frederick County residents, are working together to help the men living at Building Veterans’ Brunswick home. Slinkard is the house manager. On Friday, Second Chances Garage helped Slinkard buy a minivan, which a donor had given to the organization. Slinkard sent the garage a request for a car, which the home’s veterans needed for medical appointments, job interviews and grocery shopping. Veterans often come to their organization with financial troubles, few meaningful personal relationships and post-traumatic stress disorder. Building Veterans founder Bob Wyatt said many of the group’s resident veterans were referred through other nonprofits or the court system. Slinkard is not a veteran, but saved a bit of his own money each month to buy the car for Building Veterans. “My heart is in helping people,” Slinkard said. The same is true for Elaine Bernstein, who started Ryan’s Ark from her home in Urbana. Her nonprofit is named after her son, Ryan Bernstein, who died unexpectedly in 2011 at age 31. “He always lended a helping hand to anyone in need,” Bernstein said of her son. In his memory, she started Ryan’s Ark in 2014 to perform random acts of kindness for those in need. “It’s not like feeding the hungry. … It has to be what Ryan would represent,” she said. At Second Chances Garage on Friday, Slinkard said the car would fill an important need for Building Veterans. Ryan’s Ark paid about $1,100 for Slinkard’s minivan to be repaired and made roadworthy. Second Chances Garage, on North Market Street in Frederick, brought them all together. Rick Trawick, a Monrovia resident, founded Second Chances Garage in 2010. A year before, the federal Car Allowance Rebate System, also known as the “Cash for Clunkers” program, offered incentives for car owners to trade in vehicles with low fuel efficiency for more efficient vehicles. Trawick realized the program had unintended consequences. “That pretty much ruined the used-car market for low-income people,” he said. Now, Second Chances Garage is helping people like the residents at Building Veterans. The garage sets the price of its cars as low as $500 for applicants affiliated with a partner agency. The car’s title, tags and other charges are extra. In all, Slinkard paid less than $800 for the car. The 2005 Chevrolet Venture minivan Slinkard purchased was donated by a family from Point of Rocks. The family had a wheelchair lift attached to the van, but needed to upgrade to an electric-powered lift and a new vehicle. 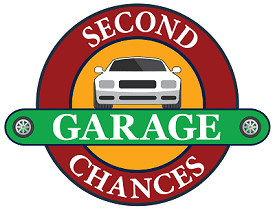 Second Chances Garage is looking to donate the non-powered lift, which was donated with the car, to a family or individual in need. Slinkard said the veterans are planning to submit at least two more applications to Second Chances Garage to get their own vehicles.